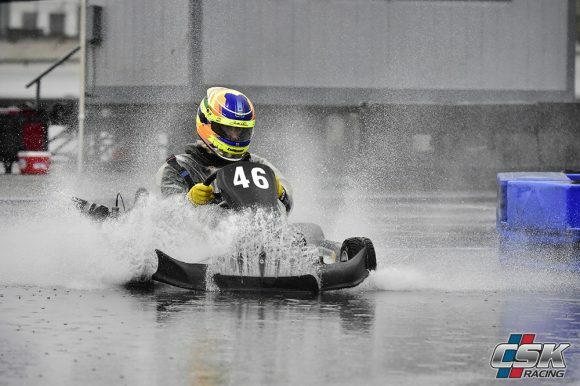 The competition karting season at CalSpeed Karting kicked things off this past weekend with the opening round of the Tri-C Karters Club, the series of choice for the CSK Racing team. 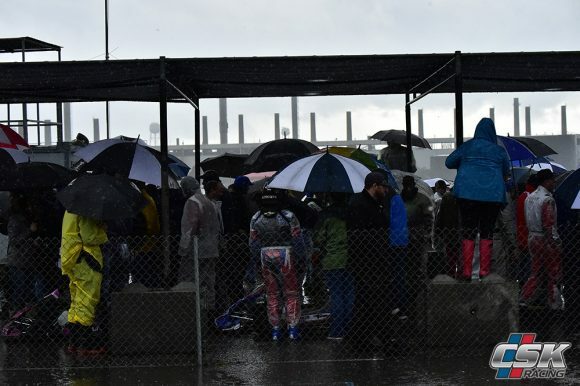 Like the season opener last year, rain would be in the forecast, but unlike last year it would be wet throughout the entire day -extremely so at times. 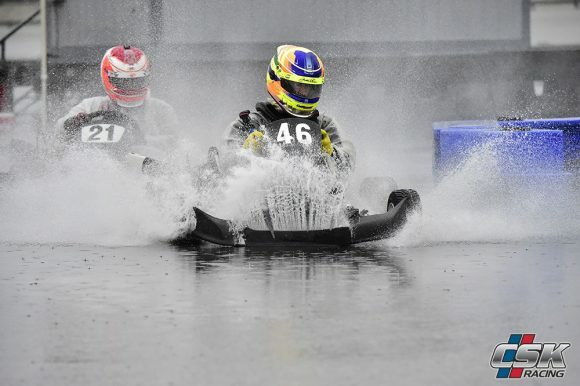 With an eventually modified course to avoid water and a shortened day that not only saw just the mains run, but laps cut as well, it was a tough challenge for all of the teams, drivers, and officials. New for this year is the inclusion of the 100cc Tag Masters category under the CSK Racing team tent, with now 2-time 206 champion Mark Connell moving on into the 2-stroke ranks. 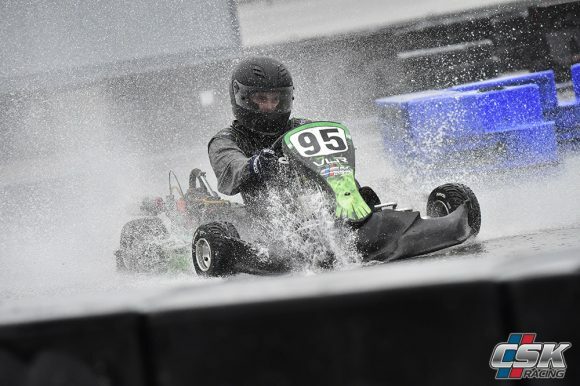 Carrying the flag for the VLR chassis brand in the 100cc game at Tri-C, Connell showed to be very strong in the dry during Friday practice, even though it was only his second day in the package. 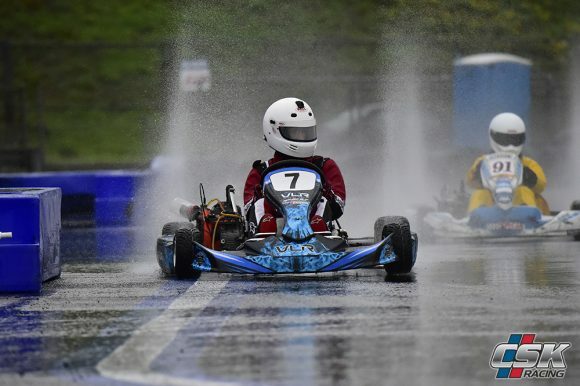 While he did win in the 206 Spec category in the wet conditions last year, 2019 would prove to be a bigger challenge for the 3rd year driver, pushing to come to grips with the power plant and the tricky conditions on hand. Still, he would improve every time he would hit the track, going virtually mistake free to score a podium in his very first 100cc event. 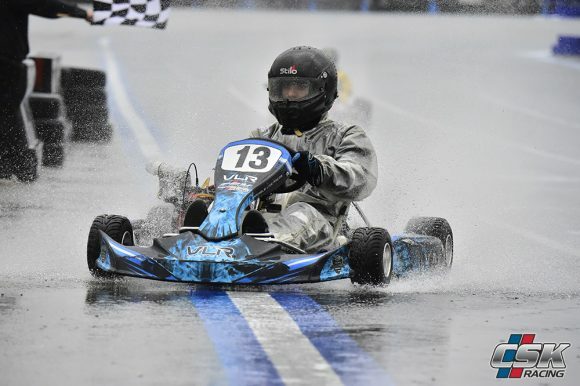 It proved that not making mistakes is the key to a good finish in the wet, and he brought home his KA100 powered VLR chassis home 3rd for a solid start to the season. In quite possibly the worst conditions of the day, the Masters 206 field took the green on the altered Grande CCW layout, and immediately Lukas lost the top spot after choosing the wrong lane through the water. 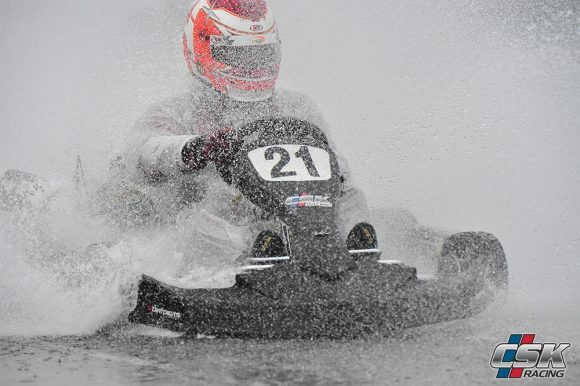 Da Silva was quick to pounce, taking over the top spot, while the former pole sitter fell to second and almost third. 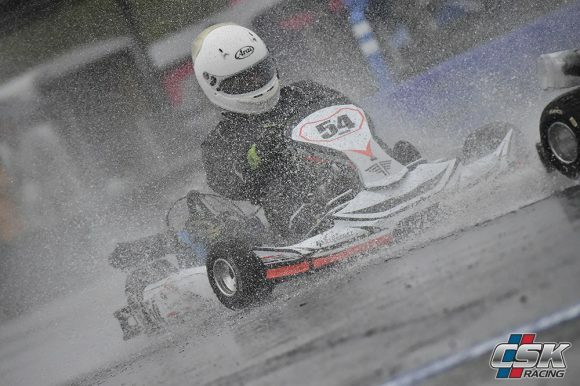 Cutting the fast lap along the way, Dziemidok charged back to just arrive at the back bumper of Jose, but would be forced to settle for second, with Jose da Silva picking up his first career win in a 206 after a flawless drive in the wet. 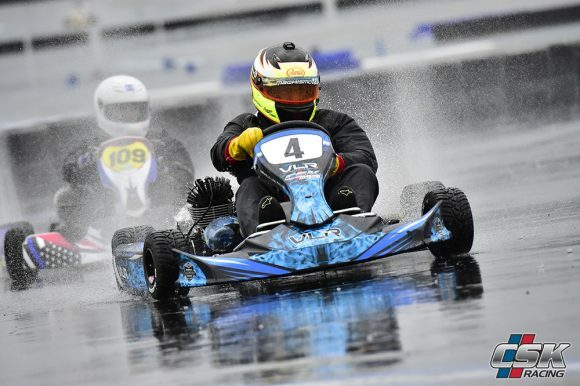 Like the Masters category, Senior 206 saw several drivers returning from last year, albeit from either the former Spec Class, or via Masters drivers looking for a second class to run. Newcomers to the fold -Seth Willits and Mark Sternberg- put in laps on Friday, and looked to really have a handle on things in the dry. 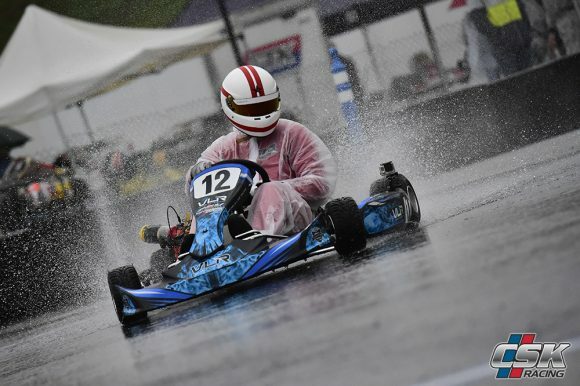 Come race day in the wet, it was Willits who really showed what he could do, backing up pace he had shown as a rental driver in the season finale last year. 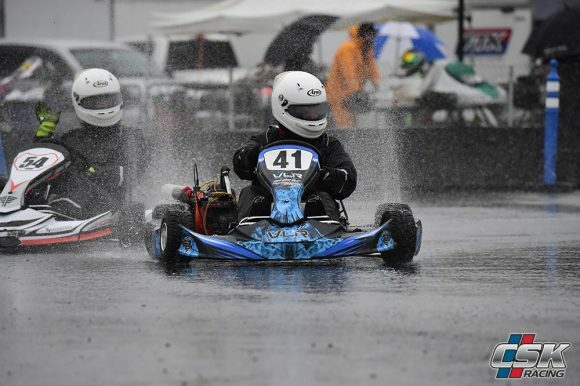 Like the other categories too, the Senior Main would be the only race they would run, but theirs would not be as short, going for 12 laps as the worst of the weather would come later in the schedule. Willits would lead all other CSK Racing pilots from the 3rd starting spot, slotting into position once the green flag flew, but then was gifted a spot when second place spun in the hairpin. 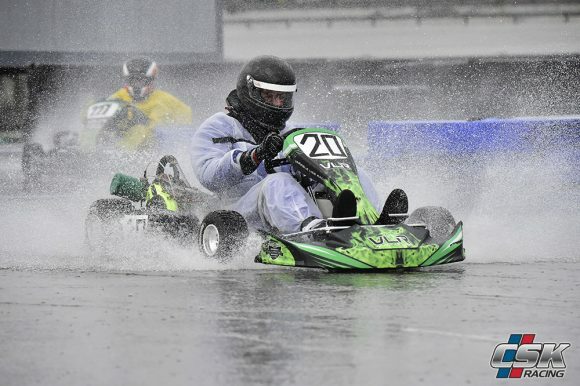 Once in second, the rookie driver drove more like a veteran in the rain, staying mistake free while cutting similar laps to the leader, while keeping his foes at bay. His reward would be a 2nd place in just his second 206 race, and with it some very solid points to start the year off right. CSK Racing stablemate Adam Nagao would also put up solid numbers over the course of the day, going 2nd-quick in morning warm up before qualifying inside the top five to start just behind Willits at the start. 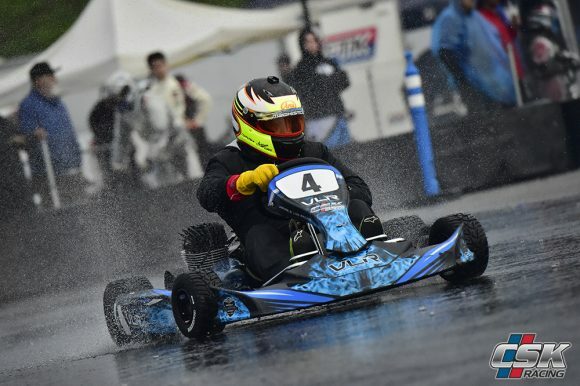 The returning driver from last year was also able to go nearly mistake free, and held on for a 4th overall, and a top five in the points standings to kick off his championship season. 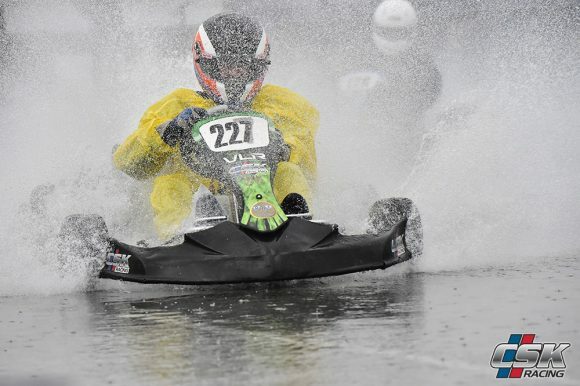 CSK Racing would like to again thank all of their customers for braving the elements and coming out to the season opener, as well as congratulate all of our drivers for their success in round #1. We’re looking forward to round #2 on the Sportivo configuration on April 20th, albeit after about a two month break. Want to get in on the fun? Hit us up to get on track in one of our rental packages, or inquire about how you can get coaching from some of the best in the 206 business. 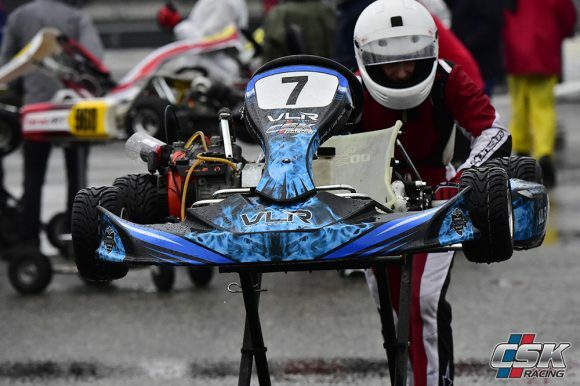 And remember, CSK Rcskacing offers VLR kart and part sales trackside at CalSpeed Karting, so feel free to hit us up for all your VLR needs!